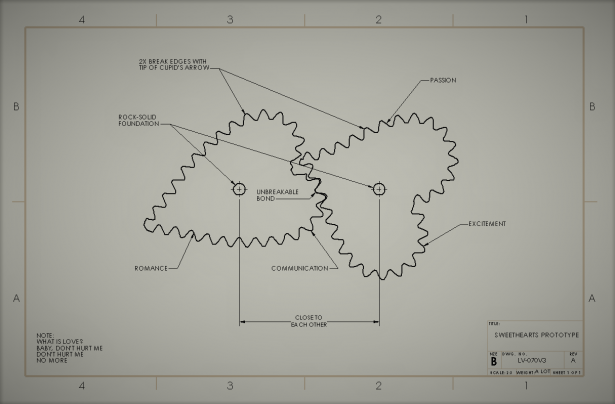 While many of us enjoyed a movie, a fancy dinner, or chowed down on some chocolates, I spent my Valentine’s Day this year engineering love itself! An urban legend has it that a heart gear has a conjugate gear of another heart gear. That’s probably the most romantic thing in engineering. Almost too romantic. Can it actually work? There’s only one way to find out. Right here I have two heart shaped gears that supposedly fit together. Two soul mates of the same power transmission, if you will. You can see from the position they are in that they fit very well together. The question is, however, will the hearts be in contact when it spins though its cycle? Well, let’s find out by using SOLIDWORKS Motion! 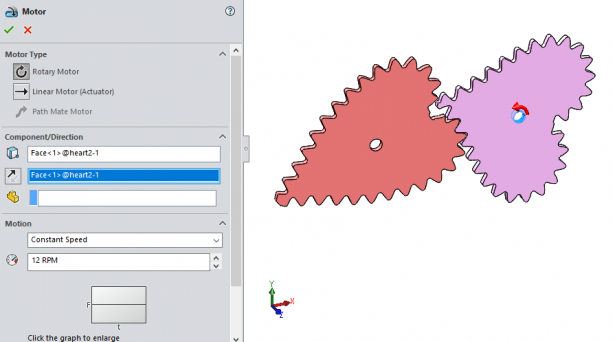 First, we ensure that the SOLIDWORKS Motion Add-in is enabled. Then we’re ready to set up the study. 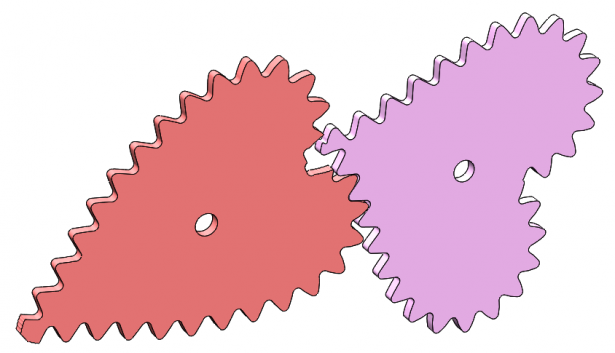 Mate the gears so that the centers are in the same place, and then use a distance mate to space them. These gears were designed to be 6 inches apart from each other. After the mates have been placed, go to the Assembly tab and click “New motion study”. We then need to set up a contact set so that the hearts know not to interfere with each other. Click “Contact” (looks like a cam and follower) and select the two bodies for the selections. The number of contact pairs should be 1. The default length of a motion study is 5 seconds. While you can change this to whatever you want, I chose to leave it like this. It is the perfect amount of time to show one full revolution. Now for setting up a motor. Click on motor, and for the first box, pick the inside cylindrical face of one of the gears (remember, we will use the contact condition specified earlier to transfer the motion to the other gear.) Since our analysis will be 5 seconds, setting the constant speed to 12 RPM will yield 1 rotation every 5 seconds. Perfect! Hit the check mark to accept. We can now calculate the study. Hit the calculate button and watch the magic! We can go ahead and find interesting properties of the drivetrain, for example, what is the rotational velocity of the conjugate gear? To find this, click ”Results and Plots”. For category, set it to “Displacement/Velocity/Acceleration”, for sub-category, select “Angular Velocity”, and for component, select “magnitude”. The gear to select is the one that does not have the motor. Click OK, and now we have a graph that represents the velocity change due to geometry. And don’t forget to follow DesignPoint on Facebook, Twitter, and LinkedIn to stay up-to-date on our latest blogs, videos, promotions, and more!